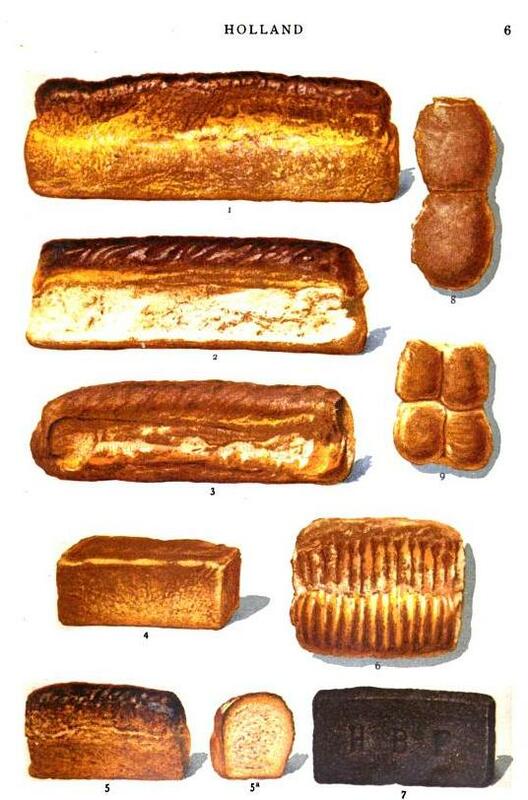 The bread of Eastern Europe impressed travelers with more than its size. Writing a hundred years later, another adventurer, Robert Towson, praised the bread of Hungary for its toothsomeness. “Nowhere else did I eat bread that was lighter, whiter, and tastier than this,” he declared. Baking such heavenly bread was no easy feat; this chore peasants performed but once a week, on Saturday, so a fresh loaf would be available for the Sabbath. It was an all-day event. Kneading alone took a good two hours and required considerable strength. The dough had to rise overnight, which meant that it wasn’t until the wee hours the next day that it entered the oven. As difficult as this chore of baking was, Hungarian families considered it anything but. No peasant woman dared neglect her bubbling pot of sourdough, her bread’s leaven. In fact, each new bride was given a small lump of sourdough by her mother, which she used to bake the first loaf for her husband. 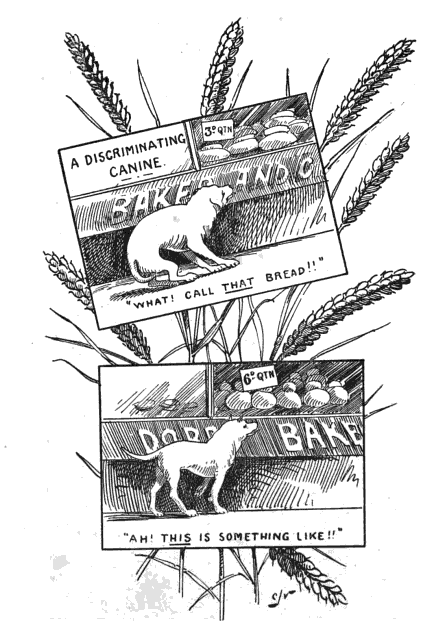 So dear were these loaves that only the man of the house could slice them. In Catholic households, he would mark them with the sign of the cross before brandishing his bread knife. If any pieces fell to the floor, they were promptly picked up and kissed in apology. Baking day wasn’t without its charms. A portion of dough was usually kept in reserve to be baked at the front of the oven, close to the flame. This imparted a smoky, tangy flavor to the resulting bread, which Hungarians call lángos. Some Hungarians still prepare this morsel, though they nowadays typically fry it and serve it with anything from chopped fresh dill to ewe’s milk cheese. The traditional recipe for lángos that appears below is taken from Culinaria: Hungary. Cooks the potatoes in their skins. Dissolve the yeast and the sugar in a scant 1/2 cup of lukewarm milk, and stand in a warm place for 10 minutes. Peel the potatoes and mash while still warm. Sift the flour into a bowl. Make a well in the center, and pour in the milk and yeast mixture. Adds the potatoes and the oil, and knead to a smooth dough with the remaining likewarm milk, adding a little salt. Sprinkle over a little flour, and cover with a dish towel. Leave in a warm place for about 1 hour until the dough has doubled in size. Pour some oil in a skillet of about 2 1/2 inches height. Tear off a piece of the risen dough, and shape it into a round flat cake about 3/4 inch thick. Fry in the hot oil (do not cover the skillet) until golden, then turn over carefully and fry the cake on the other side. Season with salt, and eat while still hot. Delicious spread with sour cream or garlic juice. 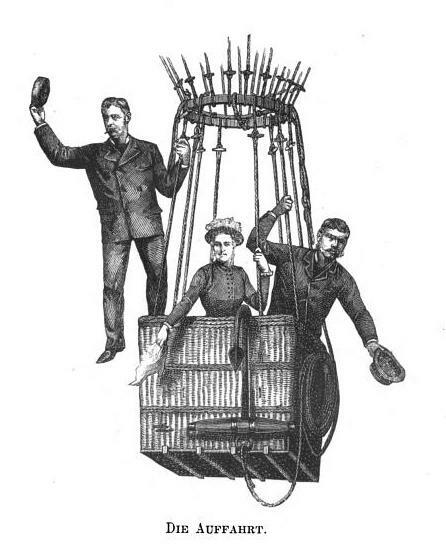 Washington Harrison Donaldson performed his greatest feats of derring-do while borne aloft by a large gas balloon. Or so discovered a crowd of curious onlookers one August morning in 1871 when the gymnast and self-styled aeronaut dressed in tights decided to take his big-top routine to the heavens. From the small town of Reading, Pennsylvania he set off at a quarter to ten in the morning. As dozens watched, his balloon, heavy with ballast, rose uncertainly at first, climbing thirty or so feet before its basket lurched against a house roof. Rope, grappling iron, coat, boots, hat and provisions Donaldson jettisoned, and the balloon resumed its ascent. A quarter of a mile above ground, he “skinned the cat” upon the hoop just above the wicker basket to the entertainment of any eyes cast skyward. On that maiden flight he drifted “some eighteen miles,” as M.L. 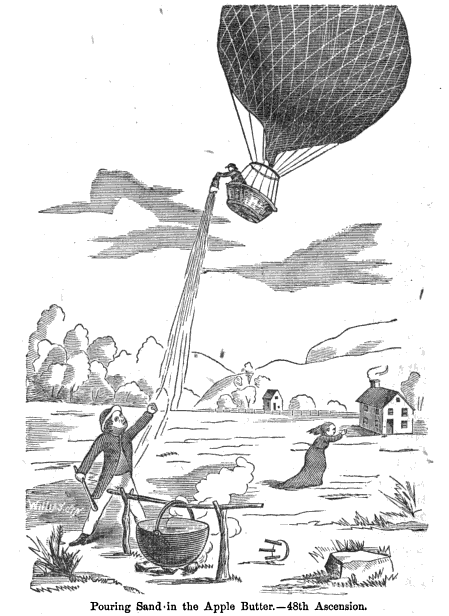 Amick recounts in his 1875 History of Donaldson’s Balloon Ascensions, passing through clouds and over farms before coming to rest in a plow field. A kettle of ruined apple butter was perhaps a fair price to pay for such an aeronautic display as Donaldson was wont to make. Should you like to prepare a batch yourself, this recipe, which appears in an 1919 issue of the Farmer’s Bulletin, is sure to send your taste buds soaring. Just take care to prepare it indoors, in the event that any puckish balloonist should happen your way. Apple butter with cider.—Either fresh cider or commercial sterilized cider may be used. The usual proportion of peeled and sliced apples and cider is gallon for gallon, but from one-half to three quarters of a gallon of cider to a gallon of peeled and sliced apples will give a rich product if the apples are good cookers. Less than half as much cider as prepared apples is likely to make an apple sauce rather than a butter, unless it is cooked very slowly for four to six hours. Continue the cooking until the cider and apples do not separate and the butter, when cold, is as thick as good apple sauce. Determine the thickness at frequent intervals by cooling small portions. If sugar is used, add it after the cooking of cider and apples is about two-thirds done. About a pound of either white or brown sugar is the usual proportion per gallon of apple butter, but more or less (or not any) may be used, to suit the taste. Apple butter is spiced according to taste, about half a teaspoonful each of ground cinnamon, cloves, and allspice being used for each gallon. These are stirred into it when the cooking is finished. Vanilla extract added after the spices are stirred in improves the quality and adds to the snappiness of the butter. Use from 2 to 4 teaspoonfuls per gallon of butter, according to taste. Rarely does ingenuity find just reward. The enterprising Nicolas Appert learned this unhappy fact when, in 1795, he hit upon the means by which to preserve meat, fish and vegetables in glass bottles. This découverte came only after a serious of professional failures. Appert began his career as a champagne salesman, and then tried his hand at confections before ending up in a grubby little atelier in the rue de la Folie-Méricourt, immersing in a piping hot bain-marie wide-mouthed glass bottles stuffed with everything from peas to pot roast. Finding that the bath rendered the jars airtight, Appert hit upon an idea that, for a few years at least, would bring him fame and welcome fortune. Appert’s discovery came at a most opportune moment. Traditional methods of preserving – drying, smoking, salting – yielded unpredictable, often unsatisfactory results. Appert’s method, on the other hand, proved so effective that the Frenchman soon found himself crowned “the Napoleon of preserved food.” It wasn’t long, however, before the Napoleon of world conquest learned of his culinary counterpart. Looking for a way to feed vast numbers of soldiers, the emperor summarily appointed Appert “official purveyor of the Grand Armée” whose theater of operations was a food bottling factory at Massey. Supervising more than fifty employees, the official purveyor discharged his duty to the Empire with élan, seeing to it that troops marched off well supplied with bottled rations. Appert’s luck changed in 1814. A pair of English technicians infiltrated the factory and stole his trade secret. 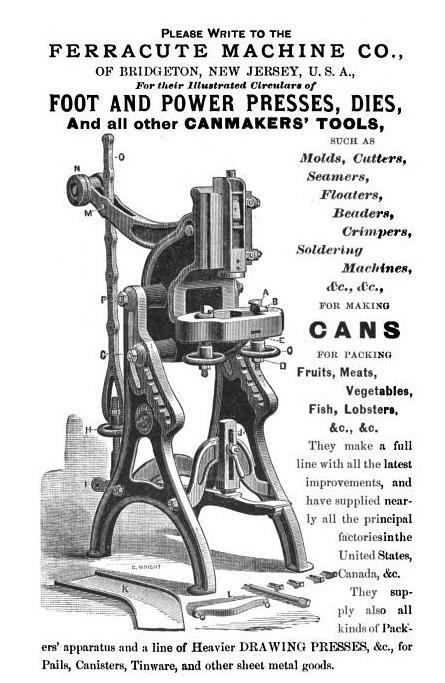 Shortly thereafter, the first English canned foods (the clever Britons improved upon Appert’s design by substituting metal for glass) came rolling out of the factories of Donkins-Hall. Unlike their American cousins, who also learned food preserving, the English failed to credit Appert with his discovery, and this oversight proved fatal. He never recovered from this bit of industrial espionage; his fortunes declined as the popularity of his invention increased. Not even a gift of 12,000 livres and the title of Benefactor of Humanity managed to stave off the mortification of poverty. 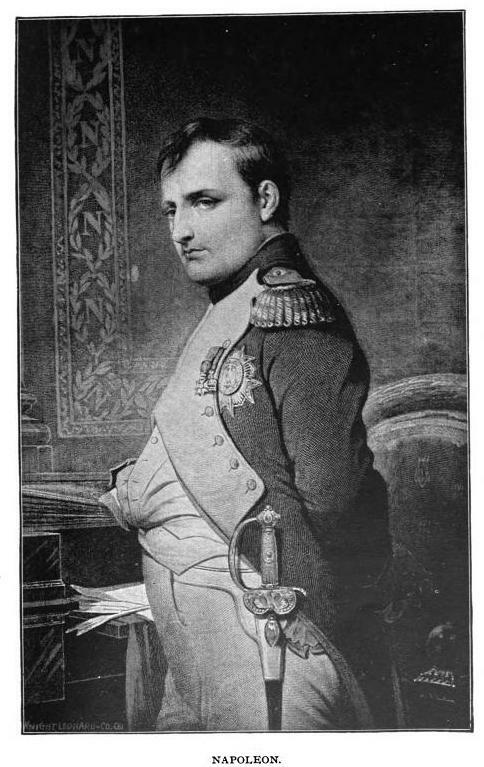 In 1841 Appert was found dead, half-starved and penniless. Should you wish to rectify a historical wrong, this recipe for canned apples from the 1906 Book of Choice Recipes will help you to preserve the memory of Appert and his signature innovation. Choose ripe, finely flavored apples, only slightly tart. Pare, core, cut into eighths, throw into cold water and after draining, weigh, and put into the preserving kettle with boiling water enough to cover. As soon as the water begins to boil up, place over a slow fire to simmer until tender, but not soft. Into another kettle put one pound of sugar, one quart of boiling water, the juice of one lemon and half its rind, grated, for every five pounds of apples. Stir, and simmer five minutes. Drain the water from the apples carefully, let them slip slowly into the syrup, and simmer until the fruit looks clear and may be pierced with a straw. Lift with a perforated spoon, one or two pieces at a time, slip into jars and cover to overflowing with the boiling syrup. If you have sweet apples canned with pineapples, they are very nice. Miss Roach’s daily suburban life varies but little. She works as a secretary in a London publishing firm. Each evening she rides the 6:30 train from Paddington to Thames Lockdon, where “wedged between a half-hearted toy-shop on one side, and an antique shop on the other” stands her present digs. 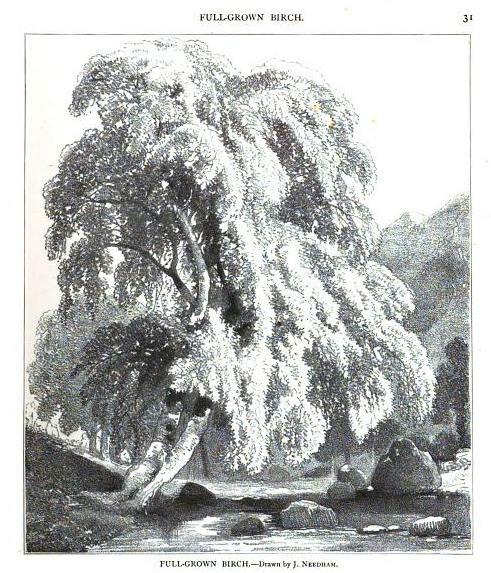 Around eight the proprietress pettily rings a “tinny Oriental gong,” and she and the other boarders descend to dinner in a room in which once hungry vacationers – “exhausted families,” “sweating fathers shyly rebuking their children,” “cyclists with packs,” and “young men with open collars and a look of sunburned eczema” – enjoyed sweet breads and tea. 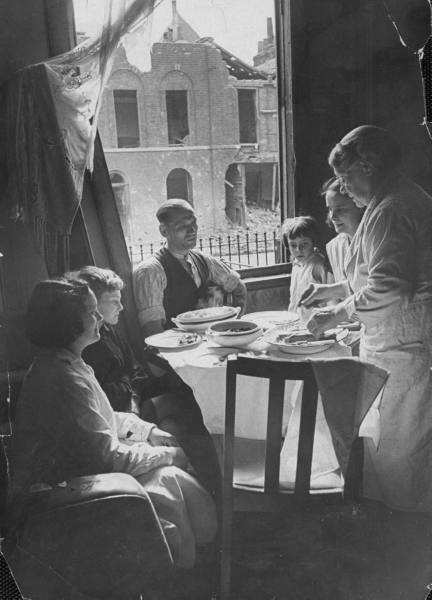 Now only a small collection of displaced Londoners sit two or three to a table, silent and weary over the evening meal. The reader may well wonder what kind of meal Miss Roach consumed under such circumstances. She tells us it was an equally drab wartime dish of spam and mashed potatoes followed by “plates of steamed pudding and custard.” Should you feel inclined to host a melancholy boarding room–style repast, then try Leicestershire Library’s recipe for wartime steamed custard, which despite its simplicity is guaranteed to lurch the most intransigent palate from its blitz-induced ennui. METHOD – Beat the eggs and sugar very thoroughly. Heat the milk and, when boiling, pour it very gradually on to the eggs, stirring well all the time. Add the flavouring and pour into a greased cup or mould. Steam in a saucepan until set. While on his way to the Lonely Mountain to burgle the hoard of the great dragon Smaug, Bilbo Baggins, hero of J.R.R. 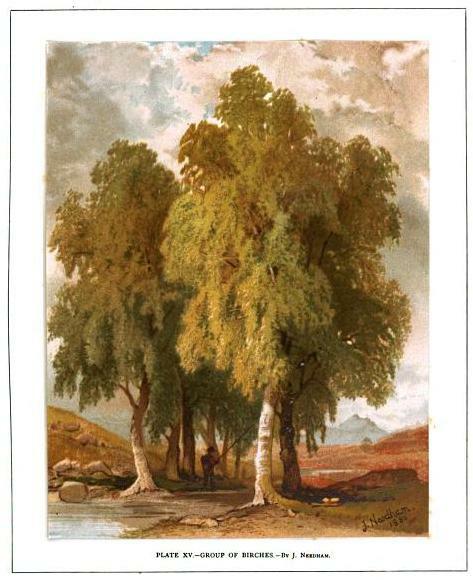 Tolkien’s 1937 novel The Hobbit, encounters the wild but benevolent Beorn, a “skin-changer” who divides his time between the man and bear forms he assumes at will. Bilbo learns that Beorn (in his human form) “keeps cattle and horses which are nearly as marvelous as himself. They work for him and talk to him. 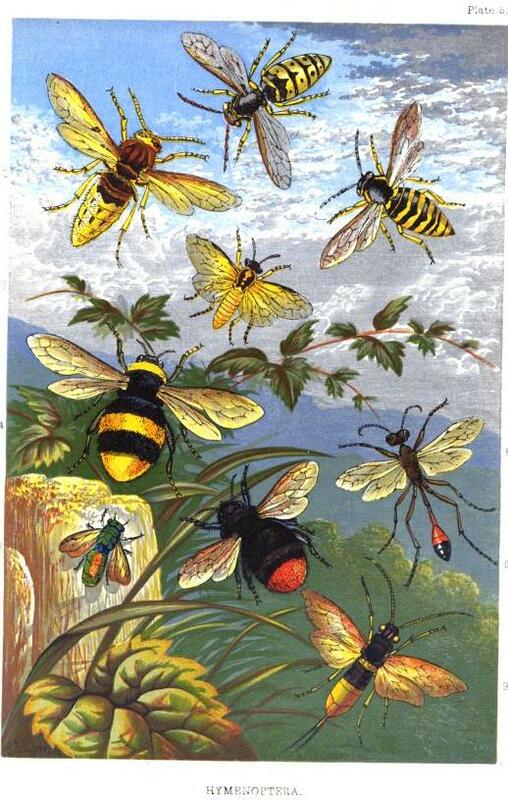 He does not eat them; neither does he hunt or eat wild animals,” preferring instead the fruits of his impressive apiary. He tends “hives and hives of great fierce bees” and subsists mostly on “cream and honey.” These gentle foodstuffs prove fit provender. They sustain him in his nightly wanderings, during which in ursine shape he “ranges far and wide” in the dark forest surrounding his home. Such perilous adventures seem as remote as Mirkwood itself in the company of Beorn and his docile family of animals and bees, however, and their guests partake of their hospitality with glad hearts. 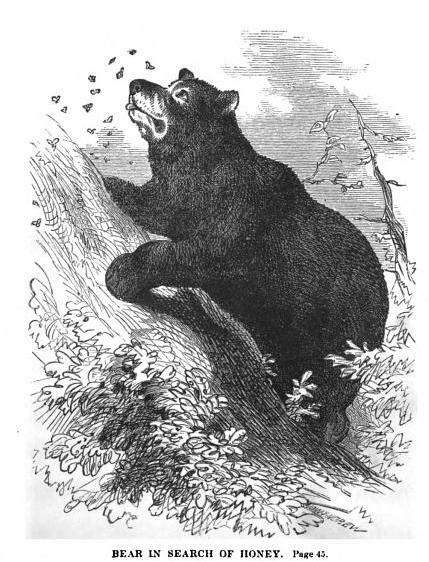 Should you also wish to lavish upon unexpected guests similar sweets to those which adorn Beorn’s board, try this recipe for honey cake and preserves from the May 15, 1884 edition of The British Bee Journal and Bee-Keeper’s Adviser. And do be generous with the butter and clotted cream! Honey 1 quart, 1/2 lb. fresh butter, juice of 2 lemons. Grated nutmeg to taste. Warm sufficiently to soften the butter, and mingle by hard stirring. Mix from 1 1/2 lbs. to 2 lbs. of flour to make a dough stiff enough to roll easily. Beat well with the rolling-pin until the dough is compact. Make into a sheet 1/2 in. thick, cut into cakes with a floured cutter, and bake on slightly buttered tins. All kinds of fruit made into jam, with honey instead of sugar are nice. For grapes pick from the stem and pack into a jar until it is full, then turn cold honey over them until they are covered well. Seal up without any heat, and keep in a cool place. After a few months they will be found to be delicious. 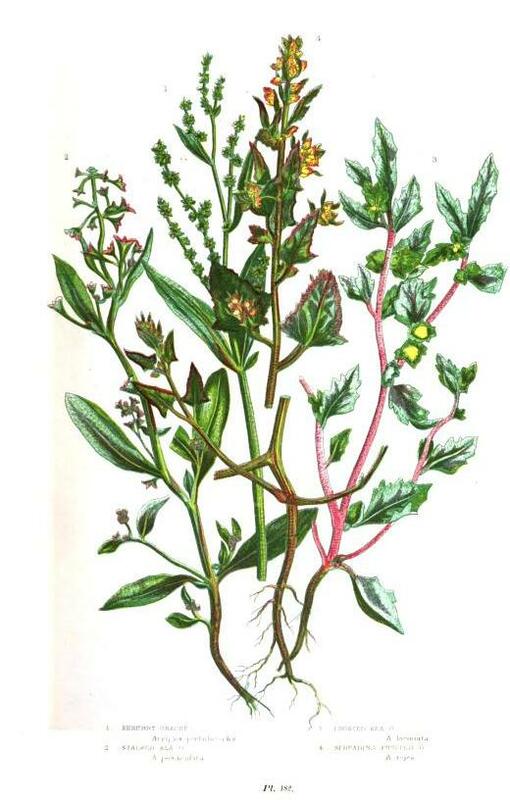 Orache wasn’t called the poor man’s pot herb merely for its ability to cure jaundice. It makes for a tasty addition to many a meal. The young leaves can be eaten raw in salads, and the older leaves can be cooked and used as a substitute for spinach or other leafy vegetables. Green thumbs can grow this prolific plant without much trouble. Orache loves moist soil rich in well-rotted manure. It flourishes in containers and is generally a hardy annual. Those lucky enough to have ready access to a few bunches of this herb should try this recipe for red orache soup from Jekka McVicar’s The Complete Herb Book. Peel the potatoes and cut them into thick slices. Wash the orache and cut up coarsely. Cook the potatoes for 10 minutes in salted water, drain. Melt the butter in a saucepan with the crushed garlic and slowly sweeten; add the red orache leaves and gently simmer for 5-10 minutes until soft (if the leaves are truly young then 5 minutes will be sufficient). Pour in the stock, add the parboiled potatoes and bring to the boil; simmer for a further 10 minutes. When all is soft, cool slightly then purée in a blender or food processor. After blending, return the soup t o a clean pan, add salt and pepper to taste and heat slowly (not to boiling). Stir in the sour cream, and serve.